Paul qualified as a Solicitor in 1977. Paul trained as an Articled Clerk with Chattertons in Lincolnshire before joining the practice (then called Hooper & Fletcher) in 1979. Paul became a Partner in 1981 and has been involved as a sole or co-owner of the practice since that time. Paul is presently the Sole Proprietor and has been since 2012. Paul’s work is almost exclusively related to all aspects of Child Care Law, in respect of which he has over 30 years’ experience. 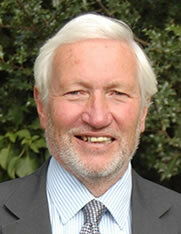 Paul is on the Law Society Children Law Panel and has been since 1986. Paul has been involved in the significant cases of In Re S (FC) In Re S and Others In Re W and Others (First Appeal) (FC) In Re W and Others (Second Appeal) (Conjoined Appeals) before the House of Lords in 2002 and Re S 2009 EWHC 2015.